New blog! :) Millie in her World is Ending. I keep trying so hard to keep up this blog but honestly, I feel it isn’t quiet “me” anymore. 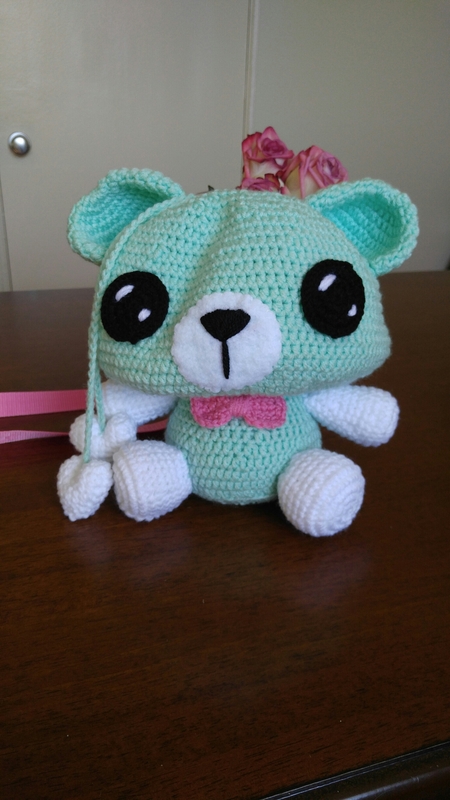 This blog was to let me share my different crafts, Pinterest fails, testing other’s crochet patterns, ect. 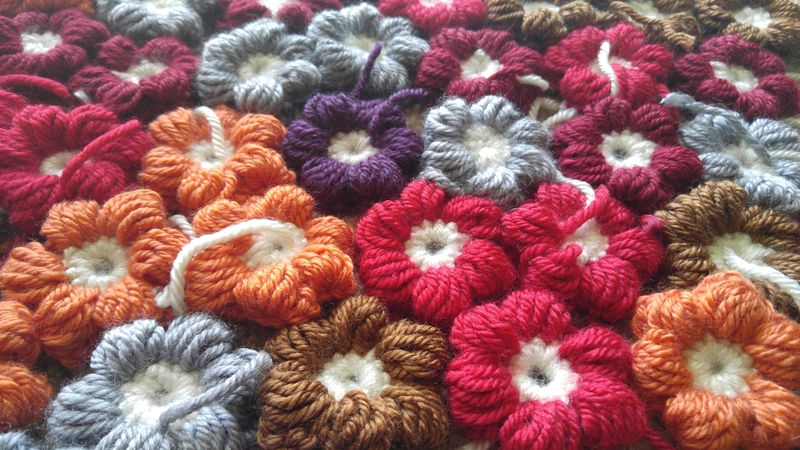 Now, I find myself with less time and interest in other crafts- I’m pretty much crochet only as of the last year. I have really grabbed the reigns on Millie’s Crochet House and been crazy focused on actually building my shop into something more. The craft fairs have bought new opportunities, and I’ve been convinced more than ever that I want my love of crochet to reach everyone everywhere!! Well, of course I am exaggerating a bit. Overall, I dont feel a strong connection to this blog anymore, I’ve gotten a little bit older and want a different tone to my blogging. I will be keeping everything up here though, so the patterns/tutorials will remain for those to enjoy. I have created a new blog: Millie’s Crochet House that is still on WordPress. 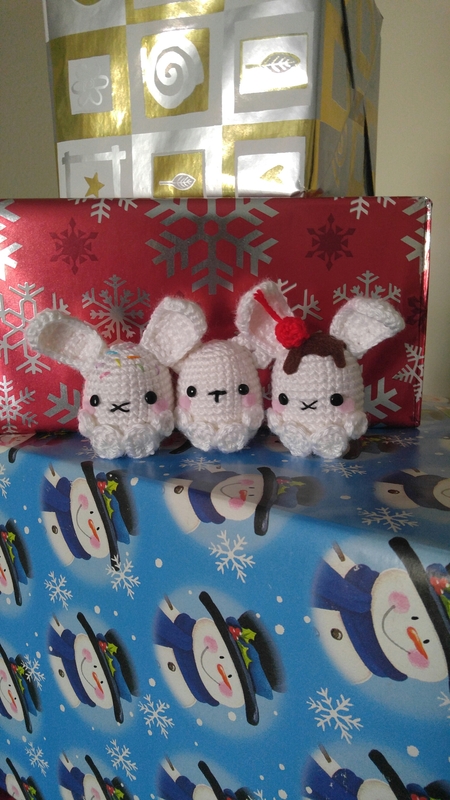 I want to share more of my own patterns for free, as well as personal crochet works, and shop WIPs. 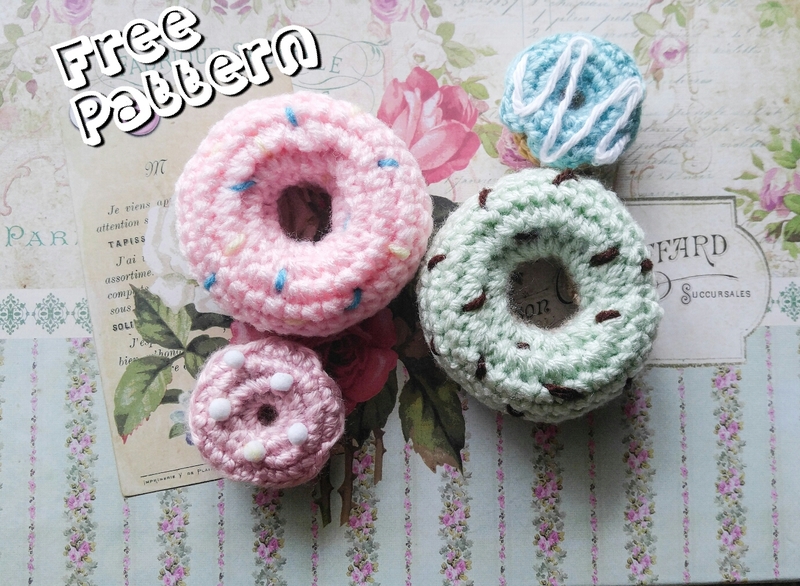 There are two different sizes, the smaller donuts were made with Simply Soft yarn and the larger with Red Heart yarn. I worked in joined rounds but working in spirals works too, they just may look slightly different form the pictures above. 4. Sc, Hdc, Dc, Hdc, Sc, repeat to end. Assembly for these are pretty easy, stuff and sew the middle of the donut bottom. Then sew the frosting to the top, that’s about it! *This pattern is for the donut bottom and frosting. 3-5. Sc 33. Leave a long tail. The easiest way to assemble these is to take both donut pieces, and turning the bottom inside out. Place the frosting side on top and sew the middles together. Once they are secure, sew the outer rim stuffing as you go. Top it off with some sprinkles and you’ve got yourself a snack! They are up at my Etsy shop with a few other coasters that I made. Also who doesn’t love the colorfulness of donuts? They just make you feel good. Thanks donuts, crochet and edible ones, you brighten my day! First Craft Fair of 2017! Lafayette Park in Norfolk was full of colorful tents and vendors from all over the area, each with some AMAZING displays! As I sat down at my table in the early morning I couldn’t believe I finally had the courage to sell out in public again, also among such talented artist! I was one of the few newbies to the season, and probably the most nervous as I kept rearranging and stressing just how to put my display together. Selling in person is such a unique experience. The best part was seeing the children run to my tent with a giant grin on their faces. They were all so polite and sweet, I just wanted to give them a big hug! I even felt pretty bashful as they’d star at me wide eyed once I told them I made the little dolls they were clutching so tightly. I felt so great seeing their faces light up. Unfortunately, as with selling anything there were some downsides. Mostly due to my oversensitiveness to be honest (lol). There was a slight feeling of defeat whenever customers would show great interest in products, then complain about the price being “too high” even though I just explained why the item is priced like that. I also got annoyed with people carelessly tossing products back on and off the table. Or not putting them back even in the same general area, that able wasn’t even that big! After that day I realized I have to have a tougher skin and get better with conversing in general. My shyness dominated a little too much, with my husband really being my hype man. He had a good balance of conversing enough to get interest, yet not making the customer feel pressured to buy something. In general after saying “Hello, how are you doing?” my mind practically went blank. Ahhh, good ol’ social anxieties! On the bright side, this was my largest vending event ever, and towards the afternoon I generated an amazing audience and made more sales than I expected. My husband was so impressed, he suggested I sign up for larger events, such as Anime or Comic Cons. In that regard, I’m elated and feel relieved the show turned out alright. Anyone in the Southern Virginia area? The Riverview Village Days is twice a month on Sundays, and I will probably be showing up for more events. I’d love to give a discount to anyone who gives a shout out to my “Millie on her World” blog. Hope everyone had a great Easter, I spent my day by the beautiful beach with freezing water hahaha. 😀 Bye for now! Wow February sure went by fast. But this month has been a good one so far. I signed up for a seasonal craft show and I’m dying to know if I have been accepted or not! Got my first brand new SUV every and feel much more comfortable driving in this hectic Virginia area. My two year anniversary was very sweet and got to stuff my face with savory Brazilian food. Speaking of food, I created a while new food set. The “Meal Set” was inspired by my friend Logan. 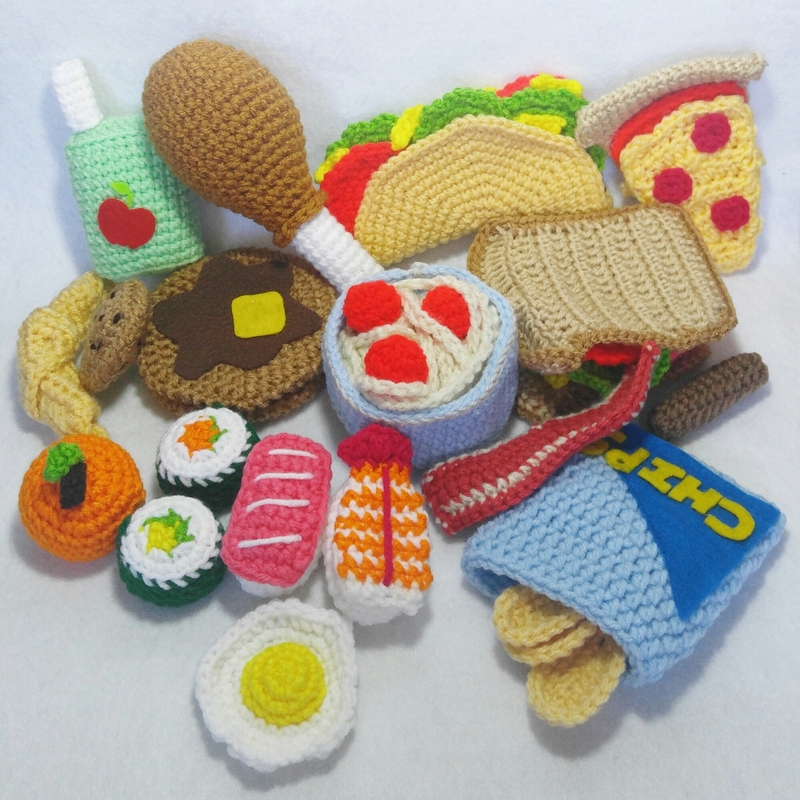 I told her a few years back I made my nephew crochet plat food and he loved it so much. Her little one is almost two and she thought it’d be a great idea. Not only did I give her my 15 previous dessert/fruit/veggie patterns…I got fueled to make more! I’ve got to say the spaghetti bowl holds a special place in my heart ❤🍝 I actually had to stop myself from making more, she wanted the patterns before she moved. I’m happy with the turn out. 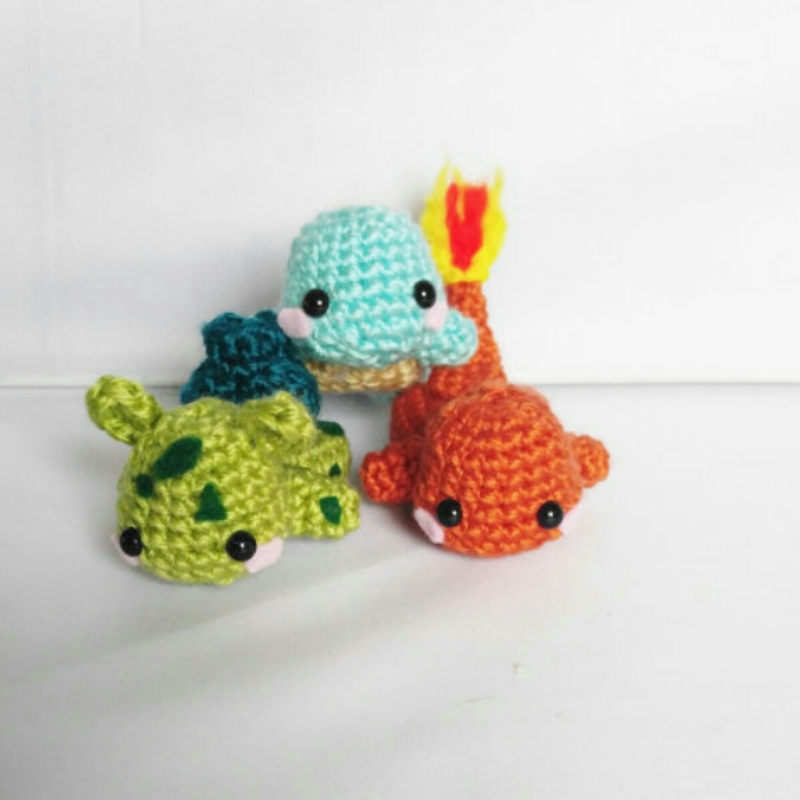 Makes me hopeful that one day I can have these for my own kiddies to play with 😄😊 I have a Made to Order set in my Etsy shop. Thanks for reading, hope everyone is having a good 2017! Among my inability to focus in one project at a time, I’ve note got two big projects in the works. This one is a blanket! 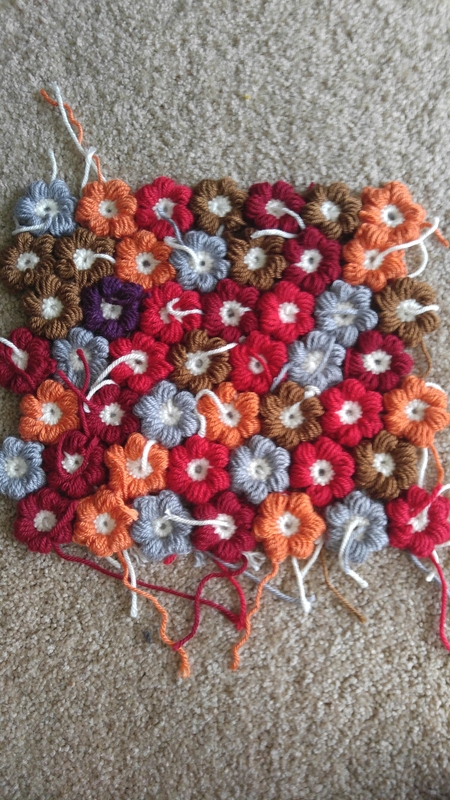 I’ve always wanted a blanket, but never found granny squares appealing and crocheting long lines drives me crazy. Can’t really believe 2016 is almost done, where did time go? I should be excited but really it feels like a normal Saturday morning: cat cuddles, cup of tea, and already searching for my crochet hook. On the other hand, I do miss doing other DIY projects like when I started blogging. I haven’t found many that really interest me, plus I spend significantly less time on the computer to find them. Outside the crafting realm I hope to keep pushing and discovering who I am and where I want to be. I want to keep getting out of my comfort zone on the work place. In SC I took my first food service job-while the job itself could be extremely frustrating, I had the best batch of coworkers anyone could ask for. But this time I hope to push myself for a higher position and to get some new experience under my belt. Been a long time since my last blog lost, but I kind of miss it! As of now I am 26, mother of a spoiled 16 lb healthy cat, and still completely devoted to the lovely craft of crochet (woohoo, longest running hobby EVER)! Yet here I am going through and internal battle of passion vs profit. Over the past two years my shop (*ahem* Millie’s Crochet House via Etsy) has been fantastic. I love fulfilling orders and creating new product. But alas, my shop has taken a dive into the world of fan art. I have always had a little bit of pop culture in my shop,mainly when the My Little Pony fan base ran ramped. One day I made a doll pattern I was satisfied with, and made the anime character OnePunch Man. From there I made a handful of other cartoon characters just for the fun of it. Listed them on Etsy just to get them out of my storage space. Then it happened. 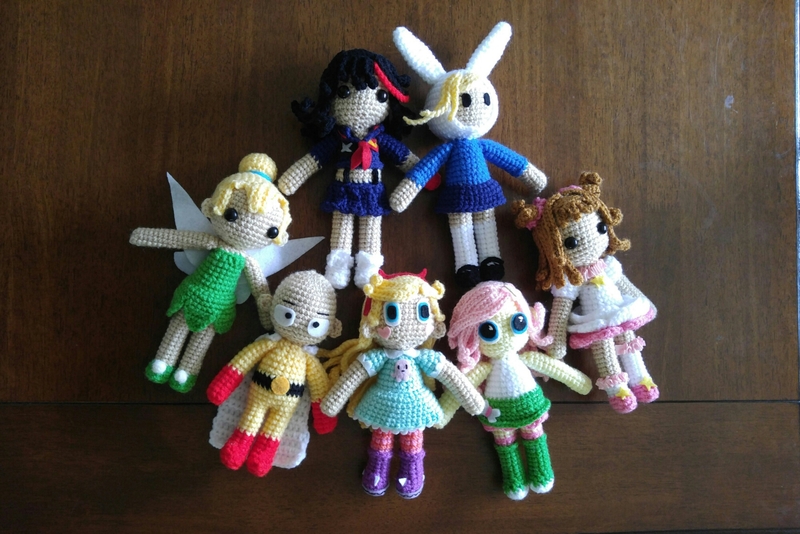 Before I knew it I was getting custom requests to make more and more dolls from fandom’s. At fitst, it was a lot of fun! The challenge of getting down characteristics via yarn. I really do enjoy making them…however once the fan art sales went up, my original design sales went down. 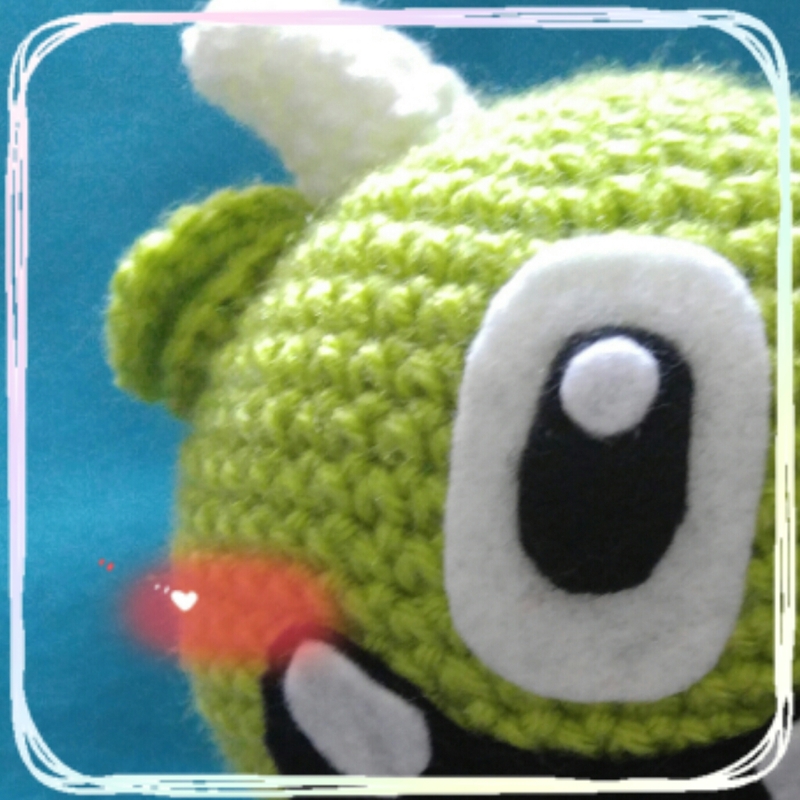 And those original ideas are what made my love of amigurumi flourish, making those designs is a great passion. I guess this is when I should establish more who exactly I want my target audience to be. Fan art is fun, making up and drawing new designs is fun. But juggling both in one shop seems to be more difficult than I thought, or I’m just doing it wrong ahaha! The next couple of days I’m working on my biggest original designs project ever, I hope to add that extra pep in my step while lost among the fandom dolls.